So you are interested in purchasing a beagle puppy? Beagles are a fabulous breed, excellent around children and very easy to train IF you are prepared to spend the time in training them, they are not a breed that likes to be left alone for long periods of time so it is suggested someone is home most//part of the day or they have company of another dog. Beagles want to be part of the family, you become their "pack" so spending time with you beagle is essential! It is recommended that new owners attend a puppy pre school class when your puppy is young, this helps teach new owners techniques on how to train your beagle. How are Sarangrave beagles raised? 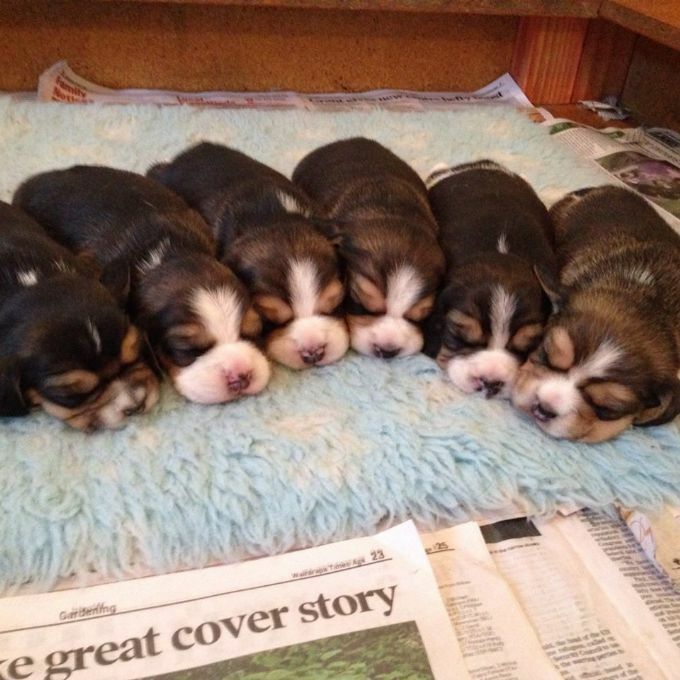 We pride ourselves on being New Zealands top winning beagle kennel and love every baby that is born here. Every litter is house raised and the upmost care is taken. ALL Sarangrave beagles are raised on Royal Canin dog food as we believe in giving them the best possible nutrition. They are well socailised from young and are used to children, cats, other dogs and farm animals. Do you do any health testing? Yes, ALL Sarangrave beagles are tested for MLS, Factor VII, PKD, NCCD, IGS, POAG and Lafora. We are proud to have NO affected beagles here at Sarangrave. Of course! We do ask however that puppies are 6 weeks old before you visit. When here you can meet ALL of our beagles! Do I have to have my beagle desexed? What food do you recommend feeding? We feed and recommend ROYAL CANIN dog food. Either phone or email me for more details about up coming litters and info on being put on our waiting list.